luckily, I found Dress Lily. Dress Lily is an online global women's fashion store. They offer affordable clothing because they do business directly with the factory and cut out any middlemen. This allows them to offer lower prices than others. They sell products worldwide and ship to wherever you are. There is also free shipping available. Don't let the low prices fool you, the quality of the clothing is not being shorted. 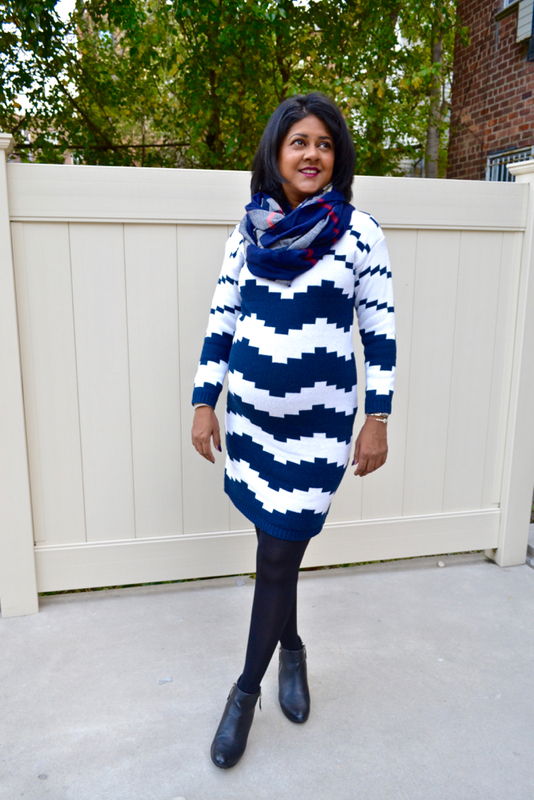 My review of this Dress Lily sweater dress begins with the thickness. 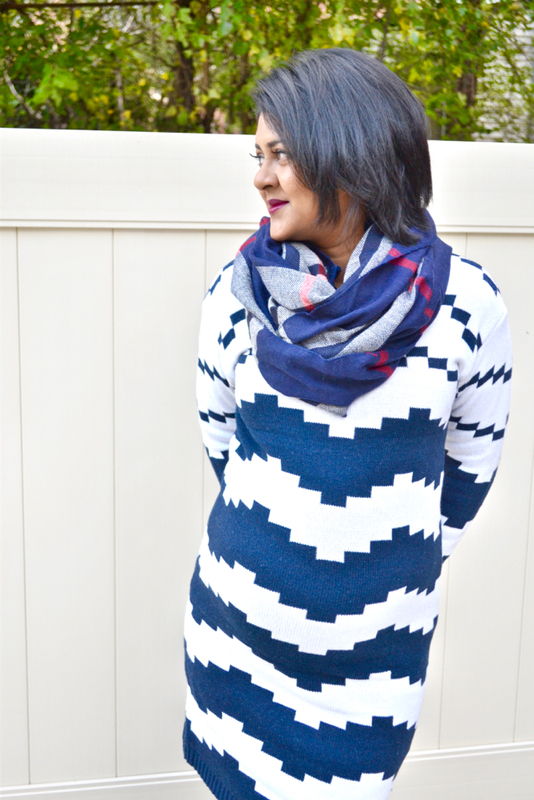 This Wave Jacquard pullover sweater dress is very substantial and came in handy on this colder than average day. It is tightly woven so it does not allow the cold air to flow right through, keeping me warm instead. In addition, the colors and design are vibrant and perfect for this fall season. 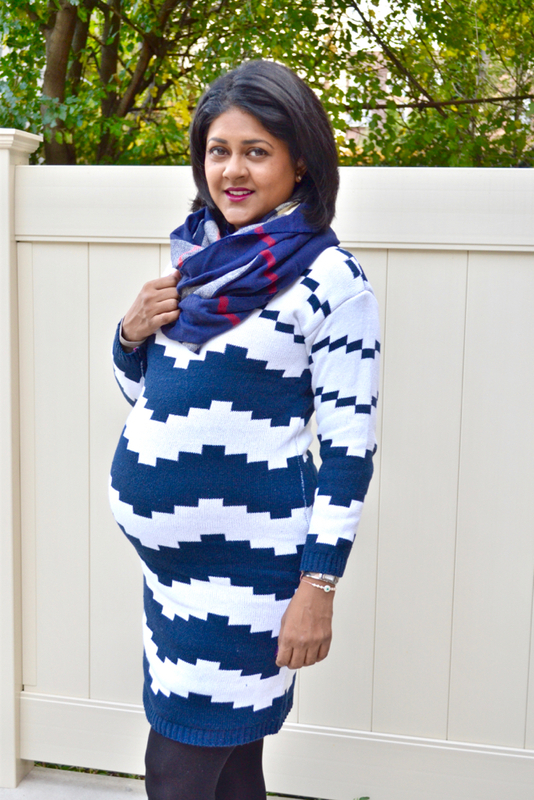 I am eight months pregnant here and this dress came in only one size but fit perfectly. 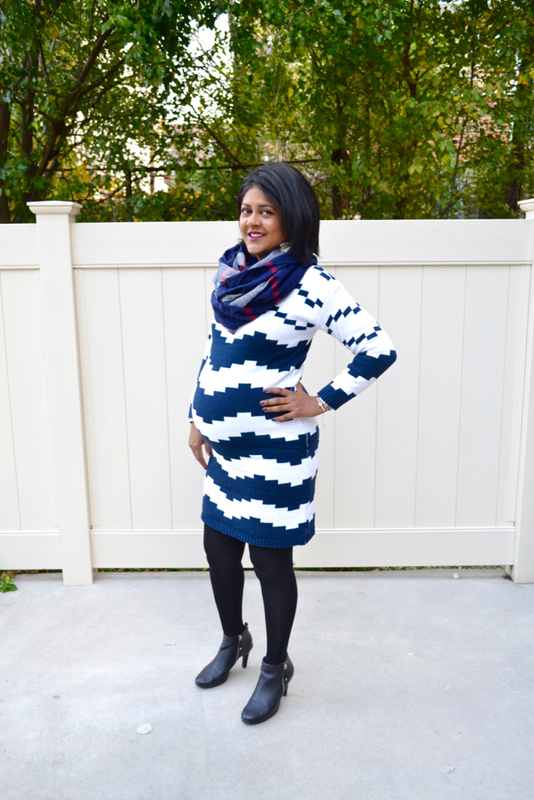 This is a piece I know that I will be able to wear well into the winter even after I give birth. I am very pleased with this dress that I received. Overall, they have quality products for a price that can't be beat!